A while back I found some old pins, which I included in a post but mostly glazed over. I was poking through my room today and came across them again. I held onto them because they were small, but also because I admired their design and high quality of craftsmanship. Today I’m going to take a closer look at these pins, which I’m sure tells a little story about the previous owner. 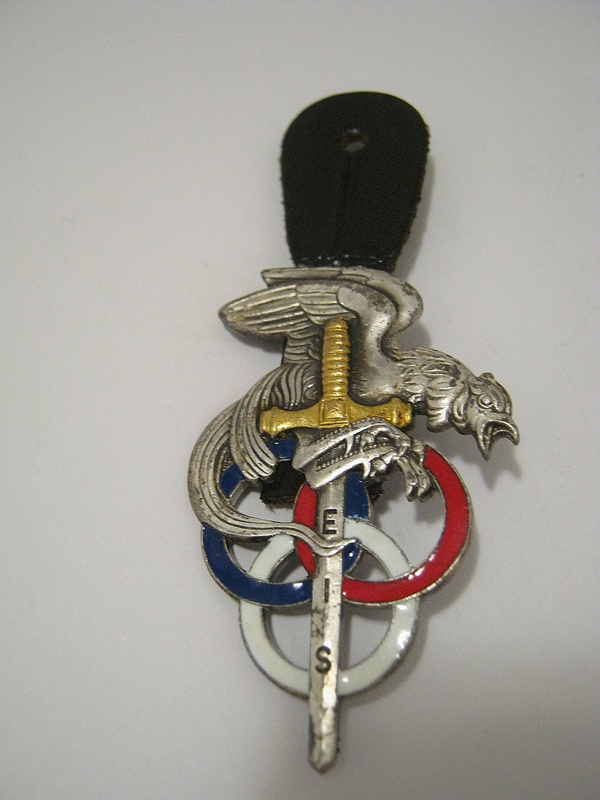 This pin looks fairly militaristic. With some research I found the same one online which provided with a bit of information. The only writing on the front is the letter “EIS,” which apparently stands for Ecole Interarmées des Sports, which is a sports school in France that seems to be closely tied with the military. 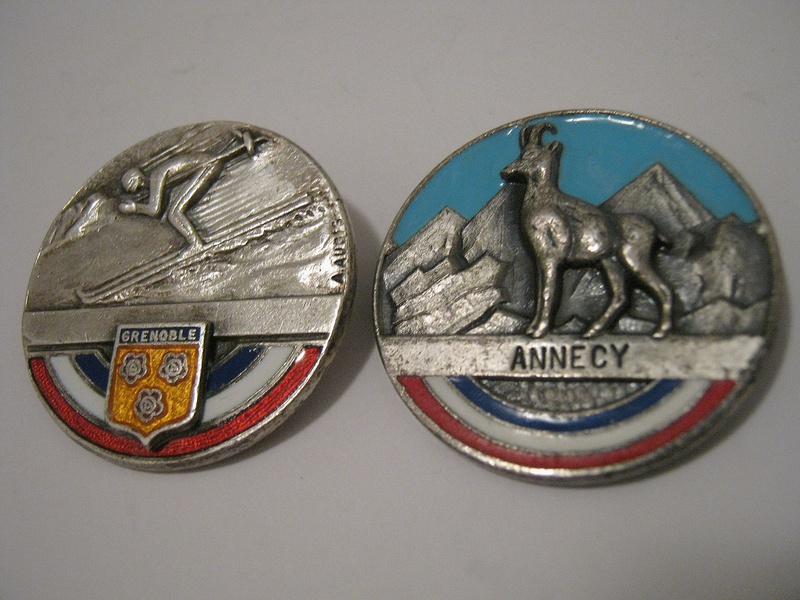 A couple of skiing pins, I’m guessing for tournaments in Grenoble and Annecy. I really like the image on the Annecy pin. 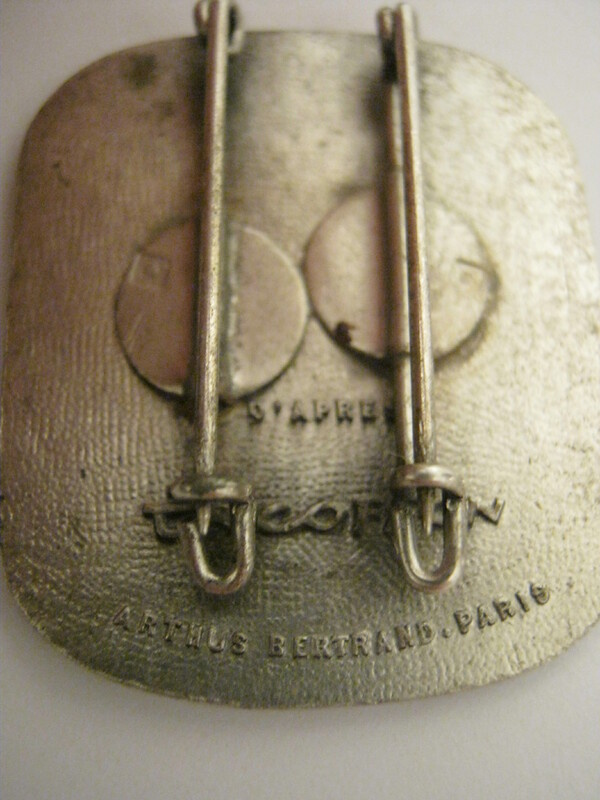 Both are marked “Augis” (a pin and medal making company) and Lyon. 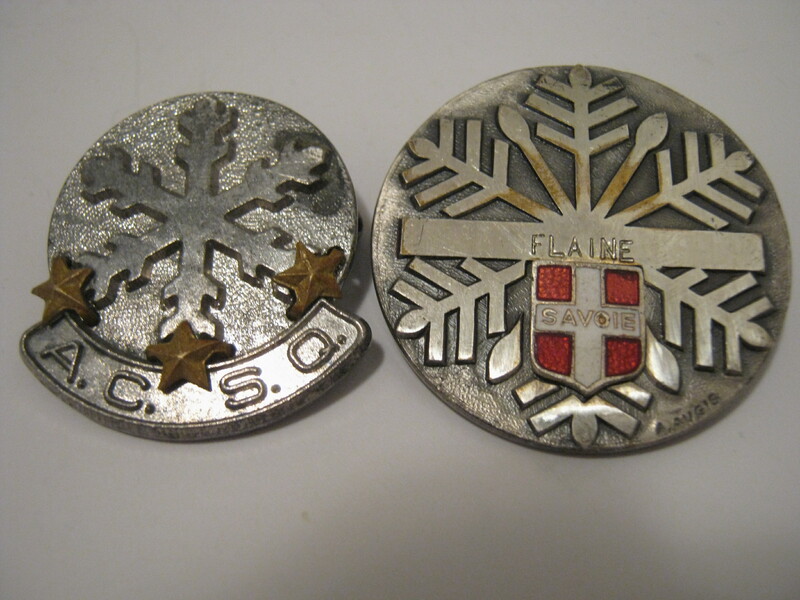 A couple more pins, likely for skiing. The Flaine one is also made by Augis. I’m not sure what ACSQ stands for, but anything that ends in Q I reckon is probably from Quebec. 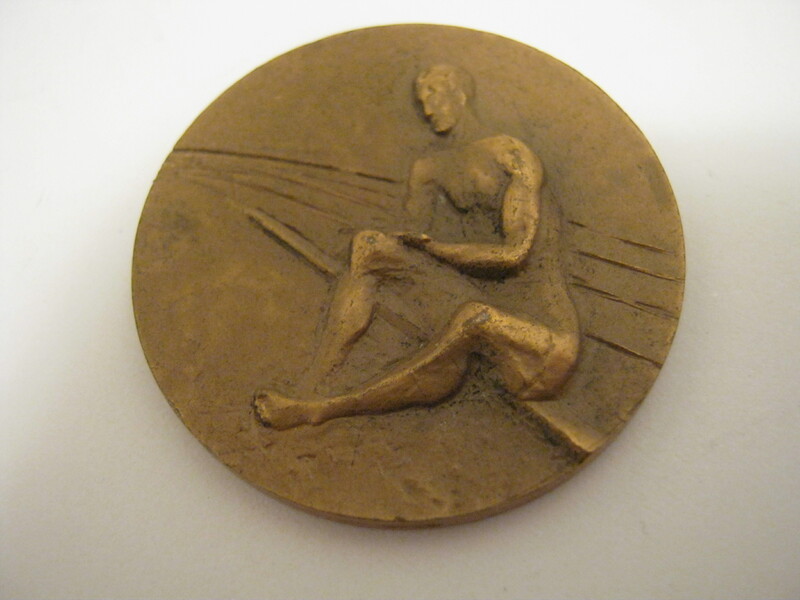 This little medal is marked “Champion de France – ASSU 1970” on the back. 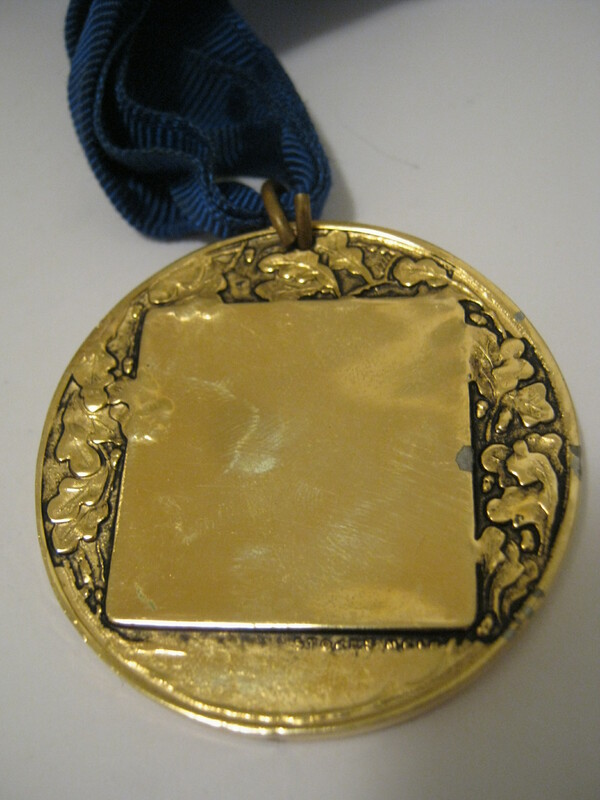 A gold medal with no imprints on it. 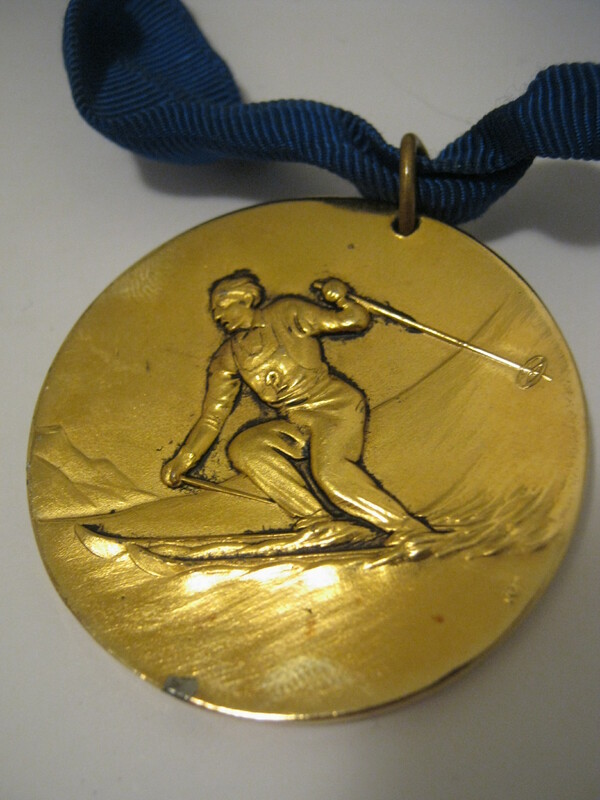 It’s not real gold – a bit has chipped off in a couple of places. It might be gold plate though. There’s a little symbol on the front which looks like a joined up A and L or maybe a U and L. On the back is faintly engraved “Stokes Mele,” or at least that’s what I think it says. I can’t find that on Google though, so who knows. 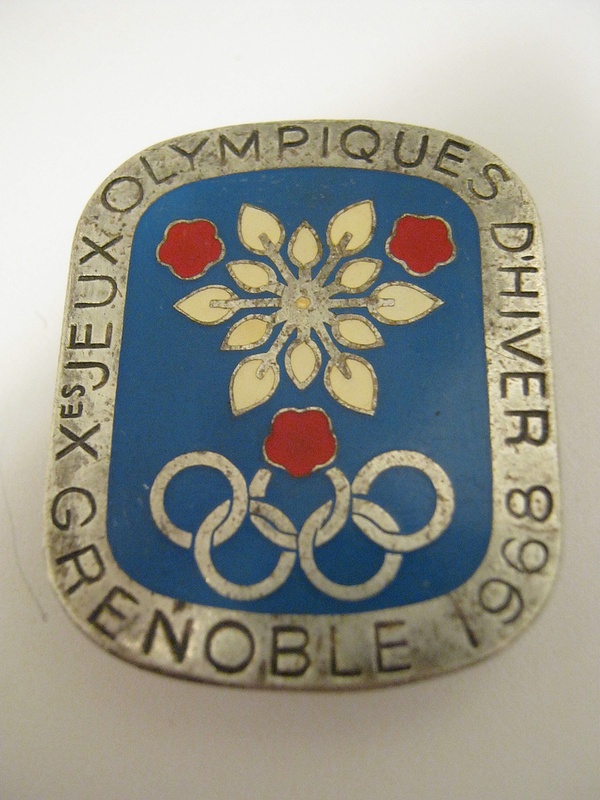 Finally, this is a 1968 Grenoble Olympcs Participation pin. The guy on Ebay is trying to sell it for over 100$, so this might be a good find after all. There’s something to be said for looking through your old stuff! For sure! Any Olympic stuff, I’m guessing, would bring a bit of money. Have you found money itself in the trash?I have found money in the trash or on the sidewalk ,once 40$,$5 three or four times.Mostly there is no way to trace the money because it is mixed in the garbage of many folks or because it is lying on the sidewalk with no documents attached.In those cases,I took the money. I found an old 5$ bill once and a big pile of change that ended up being around 6$. Sometimes I find small change too. Otherwise, no big money finds yet. I have found some gold and silver though which is just as good. I think as long as it’s in the trash it’s yours to keep unless you feel otherwise (depends on the situation really). Hi man,great blog,but I wonder how some other people look upon you.Do you come across snobs who look disgusted when they see you poking through garbage?I personally admire you,but many people are shallow .Also,what do you think of men and women who poke around through recycling bags,recycling bins,garbage bags and trash cans to find beer bottles and cans for recycling?Has there been a study done on scavengers in Montreal?Many of ’em are poor or destitute,but I am sure some are not poor and are actually quite prosperous.My neighbour works as an accountant,but he walks his dog in the municipal park at night almost regularly.Many times I see him coming back with the dog ,accompanied by a plastic bag full of soft drink cans and beer bottles that he has found in the park.I say great for him.I live in Cartierville…Investigate this avenue as a sociologist.Do you also take home some cans and bottles you find to recycle for money and to help the environment?Keep up this blog. Most people in Montreal are pretty cool about it. My main thing is to try to not pay attention to people anyways unless they interact with me. I’ve had some people that have been anxious about me going through the trash (theirs or others), but other people have actively encouraged me to go through it as well. I have gone out looking for cans in the past but I don’t now, unless I find a bunch and I’m near a store. I think a lot of people who do it are poor, but others just enjoy walking and making an extra buck. I mostly don’t take cans now because they take up a lot of space that I like to use for other stuff. If I made a bike trailer (a project I’d like to try) I’d have a lot more flexibility to do something like that.